From the Roberto Coin Nabucoo collection, this bracelet was born to bedazzle! 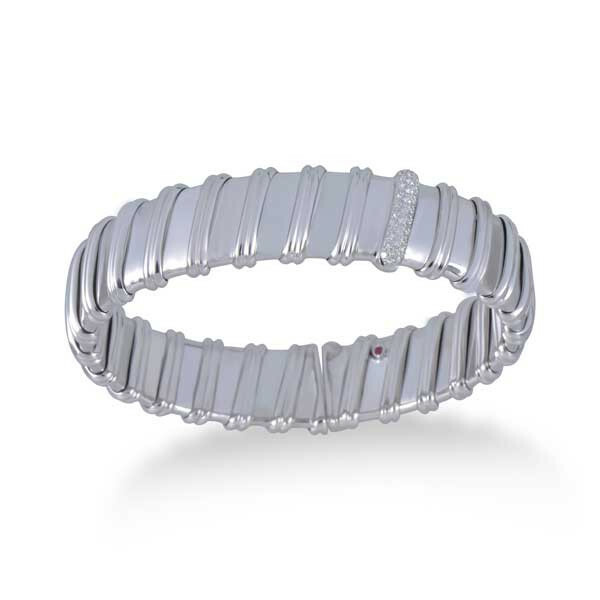 The smooth, polished bangle is crafted in 18kt white gold, and a thin ribbon of gold is wrapped around its length. A small patch of vibrant white diamonds rests along one section of the threaded ribbon to give this piece some extra sparkle. 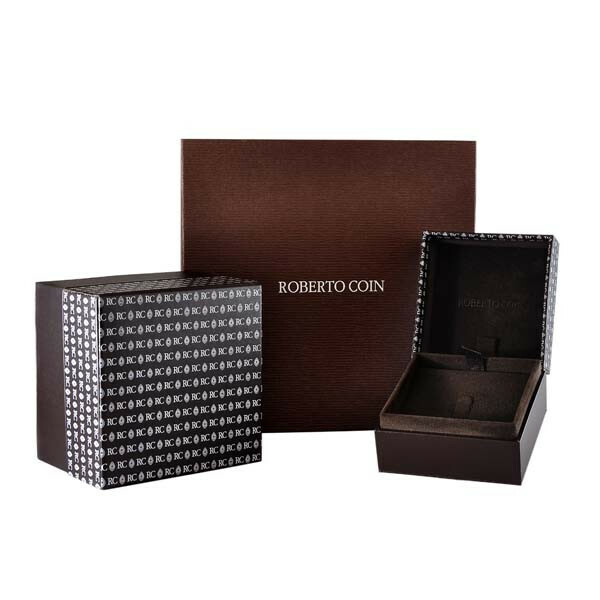 Give this Roberto Coin bangle a chance to accent your outfits beautifully!